"At this time, we have 159 functioning temples, and more are under construction. We want to bring temples closer to the expanding membership of the Church. So we are now pleased to announce plans to construct seven more temples. 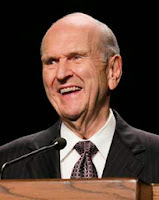 Those temples will be located in the following locations: Salta, Argentina; Bengaluru, India; Managua, Nicaragua; Cagayan de Oro, Philippines; Layton, Utah; Richmond, Virginia; and a major city yet to be determined in Russia. 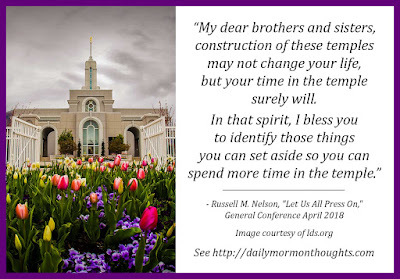 "My dear brothers and sisters, construction of these temples may not change your life, but your time in the temple surely will. 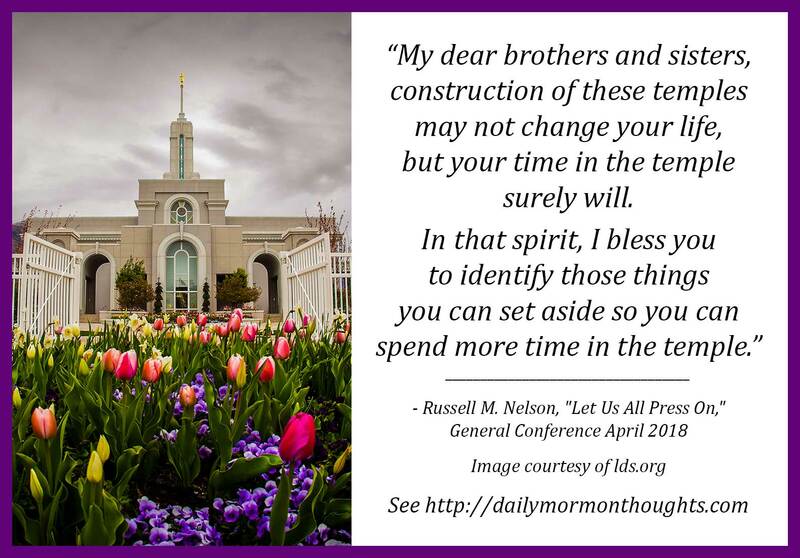 In that spirit, I bless you to identify those things you can set aside so you can spend more time in the temple. I bless you with greater harmony and love in your homes and a deeper desire to care for your eternal family relationships. I bless you with increased faith in the Lord Jesus Christ and a greater ability to follow Him as His true disciples." "We are grateful for the increased availability of temples worldwide and invite adult members to have a current temple recommend and visit the temple more often. Where time and circumstances permit, members are encouraged to replace some leisure activities with temple service." It's important to note the difference of what took place in this conference, however. Though the encouragement was previously given to consider giving up other activities in order to be in the temple, President Nelson blessed the Church membership with the ability to identify things that could be "set aside" in order to increase attendance. Are we willing to accept that prophetic blessing and seek to have it realized in our lives?